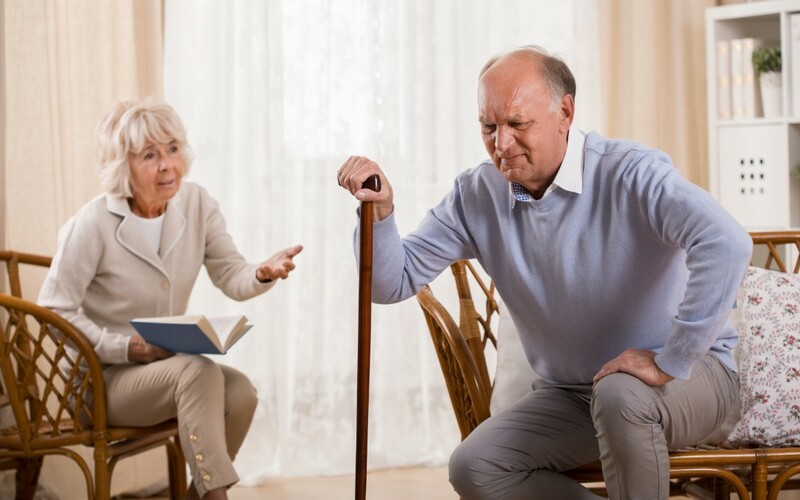 Dealing with soreness in the knee or knees is quite typical for the elderly. Our knees are exposed to a lot of wear and tear over the years which will eventually cause the joint to deteriorate. The knee has the task of supporting our weight, while at the same time absorbs the impact of our feet hitting the ground while walking, running, or jumping. Like basically every aspect of the human body, time and gravity take their toll. Levels of pain or discomfort will be different for each individual, so it is important to figure out which treatment will be most helpful for you or your loved one. The most common cause of knee aches in the elderly is osteoarthritis. The onset of osteoarthritis comes from prolonged use of the knee joint over one’s life. It is caused by the body’s failed attempts to repair damaged joint tissues. Our muscle structure also changes over time, and the muscles in the knee are no exception. As we get older, our we begin to lose muscle mass and function. There are numerous treatment options that can help alleviate knee soreness. For the most serious cases, surgery may be the only solution. This type of surgery may involve replacing the damaged joint with a synthetic one. The rehabilitation period from surgery can be lengthy and challenging, but this method is successful in reducing pain and rigidity in the joint. Physical therapy and regular exercise can be used as a treatment for less severe cases. Some people find prescribed medication helps relieve the pain. Maintaining a healthy body weight can also be a big help. Obesity generates a lot of pressure on the knee joint, so carrying extra weight can cause more damage as we get older. A healthy diet and regular exercise program are always recommended for promoting good health, but are even more important to those with knee pain. It is a good idea to consult your physician for an accurate diagnosis and treatment plan. A caregiver can be an indispensable component in helping your loved one recover from surgery, or implement behavioural changes to begin a healthier lifestyle. If you have any questions, or would like more information please contact out office.